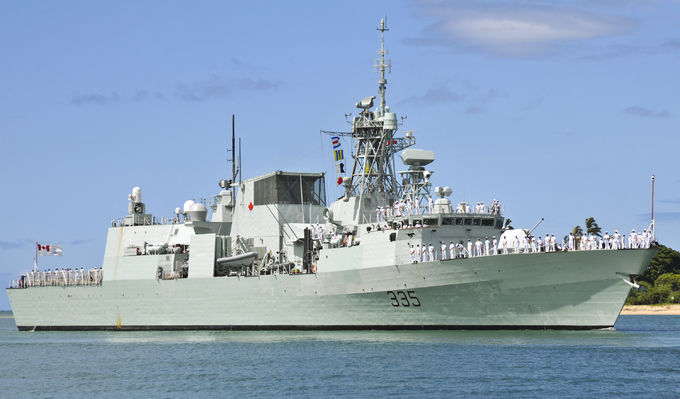 HMCS Calgary is currently taking part in Operation Projection in the Asia-Pacific and will visit Da Nang Port on September 26-30, Canada's Department of National Defense and Canadian Armed Forces announced. Canadian Armed Forces (CAF) members are operating in maritime environments around the world during the mission "to make the world more secure and enhance relationships with Canada’s allies and partners." Canada sent HMCS Vancover to HCMC back in 2016, and the upcoming visit by HMCS Calgary to Da Nang Port is a manifestation of Canada's resolve to play a greater role in the Indo-Pacific, Carl Thayer, an Australia-based analyst of regional security, told VnExpress International in an email. Commenting on those dock calls, Thayer said: "All maritime powers have a national interest in the maintenance of freedom of navigation and overflight over the high seas. The sea lanes that pass through the South China Sea are vital sea lines of communications that sustain the global economy. “Canada, Japan and South Korea are three such maritime powers."